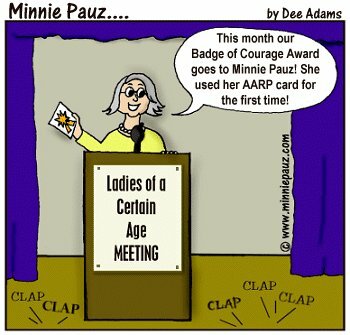 How many of us have the courage to admit we're old enough to use our AARP card? It's really not so bad if you get some of the benefits like hotel or movie ticket discounts! The problem is when you get your card at 50, you don't want to be called a "senior" and most of the discounts are for 62 and older! Maybe there is no benefit to getting your membership at 50....something they should look at!